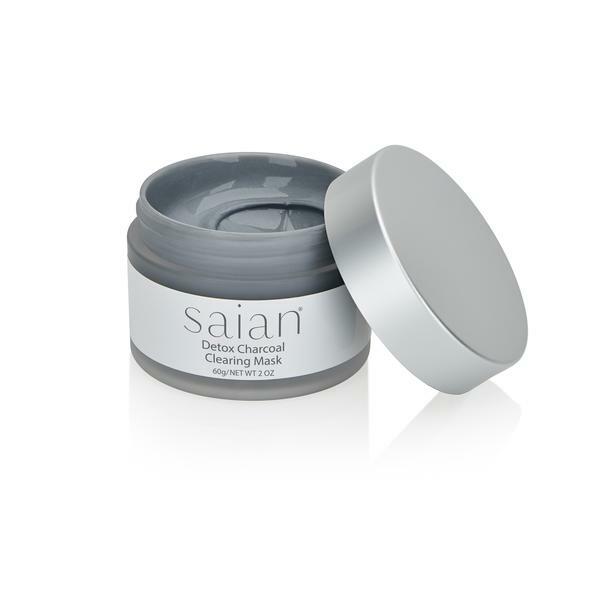 Saian Charcoal Clearing Mask 2 oz. Saian Detox Charcoal Clearing Mask is a unique mineral-rich natural clay mask that pulls out oils and detoxifies the skin. Saian Detox Charcoal Clearing Mask is a unique mineral-rich natural clay mask that pulls out oils and detoxifies the skin. This deep-cleansing formula absorbs excess oils, draws out impurities, and reduces the appearance of enlarged pores. Our balanced blend of bentonite and kaolin clays absorbs excess sebum and reduces shine, leaving the skin matte and healthy. Saian Detox Charcoal Clearing Mask calms and clears the pores, and refines the skin texture. It’s perfect to use on skin of all ages, and the application is as easy in the professional setting, as it is at home. Apply to clean skin in a thin layer. Wash off after 15-20 minutes.